In virtual environments, hypervisors are frequently the underpowered central processing engines that choke traffic to VNFs. To circumvent the issue of poor networking performance in the hypervisor, virtual networks with high performance requirements often must revert back to hardware techniques such as SR-IOV and PCI passthrough, which break fundamental virtualization principles of hardware independence. 6WIND resolves these bottlenecks with its Virtual Accelerator software – a virtual switch offload solution designed for maximum throughput and minimum latency, while preserving all the benefits of virtualization. We are pleased to share that Arbor Networks’ vTMS application achieved a 10x performance boost in virtualized environments when using Virtual Accelerator. 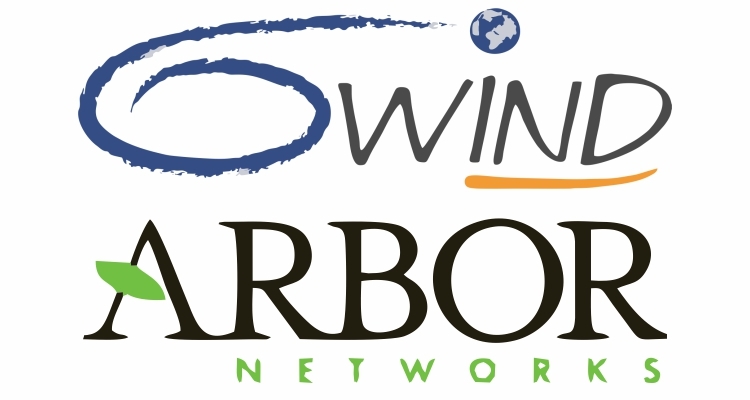 Arbor Networks’ TMS removes distributed denial of service (DDoS) attack traffic from networks while providing monitoring and visibility into applications The industry leading TMS attack mitigation technology can now be virtualized to support SDN/NFV and other virtualized networking architectures. 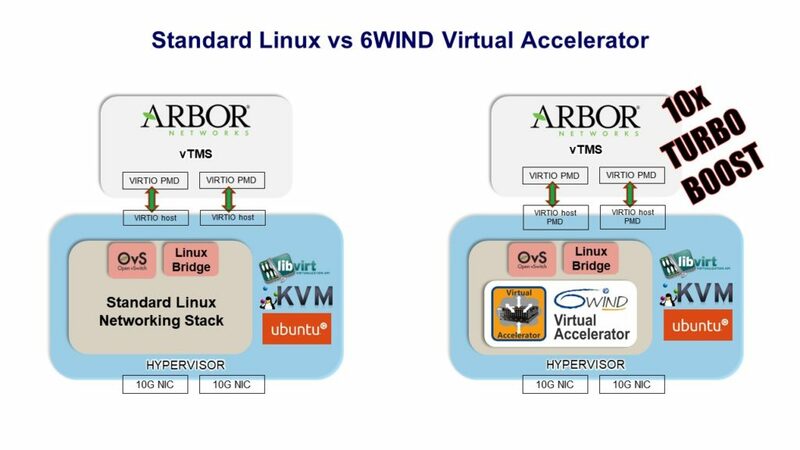 6WIND’s Speed Certification Program validated Arbor Networks’ vTMS with a 10x performance boost in KVM hypervisor environments when using Virtual Accelerator versus standard Linux hypervisors. 6WIND Virtual Accelerator packages a complete set of networking features to power the hypervisor including Linux and OVS switching, overlays for multi-tenancy, L3 routing, VFR, ACLs, NAT, IPsec, QoS, TCP offloads and more.